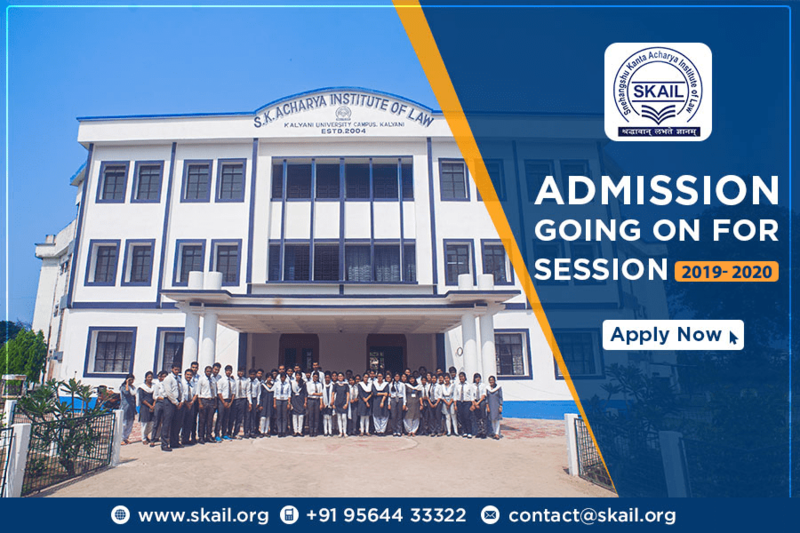 Browse through a broad spectrum of legal education pursuits, and explore your possibilities in the streams of judicial service, legal consultancy, advocacy, corporate law management and teaching. Kalyani is a progressive, well planned and dynamic town in the outskirts of Kolkata (Calcutta) city in the Nadia district of West Bengal. It is the first planned city of West Bengal with modern town planning and landscaping. Kalyani provides a green and pollution free environment and a calm and serene ambiance suited to students in pursuit of their higher education. The planning of the town of Kalyani was conceived in the year 1950, and it was envisaged as a premier industrial and educational center in the State. The town covers a geographical area of about 29.14 sq. kms. and is principally divided into two blocs- KalyaniShilpanchat and Kalyani. KalyaniShilpanchal is conceived primarily as an industrial area and it has numerous large and small industrial units. 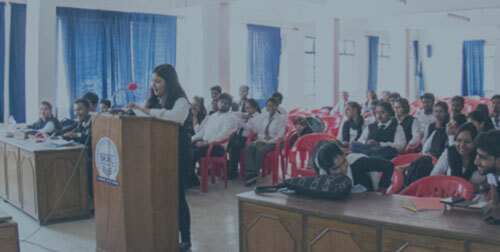 Kalyani including KalyaniGhoshpara and KalyaniSimanta has four important centers of higher education including the University of Kalyani, Bidhan Chandra KrishiViswaviclyalaya (Agricultural University), the West Bengal University of Technology and NetajiSubhas Open University. Besides, Kalyani has numerous other centres of general, special and technical education which include KalyaniMahavidyalaya, B.Ed. College, Govt. Engineering College, Telecom Training Center W.B.N.V.F. Training Center Institute of Pharmacy, Health and Family Welfare Training Centre, B.S.F. Training Institute, NetajiSubhas Co-operative Training College, Industrial Training Institute (ITI), State Institute of Panchayet& Rural Development (SIPRD) and numerous primary, secondary and higher secondary schools. Kalyani is situated at a distance of about 50 Kms from Sealdah and Howrah railway stations in Kolkata. An efficient rail and road network makes the town easily accessible by public and private transport. Kalyani town has four railway stations – Kalyani Main, KalyaniShilpanchal, KalyaniGhoshpara and KalyaniSimanta. The nearest Railway station from SKALI is KalyaniGhoshpara which is only 4-minutes walk. It is linked with the Sealdah railway station in Kolkata by local train called ‘KalyaniSimanta Local’ running between KalyaniSimanta station and Kolkata Sealdah station. Kalyani Main station, at a distance of about 2 kms from SKAIL, is virtually a railway junction having a network of rail lines connecting it with Kolkata, Ranaghat, Lalgola, Krishna Nagar, South Kolkata and various other places. Kalyani is well connected by road link and is easily accessible by private transport and bus service from different places. The important bus routes connecting Kalyani are: Kalyani – Kolkata, Kalyani – Kanchrapara, Kanchrapara – Birahi (via Kalyani), Kanchrapara – Jaguli (via Kalyani), Kalyani – Nimtala, Chunchura – Nabadwip (via Kalyani), Kalyani – Moinaguri, Kalyani – Siliguri, Kalyani – Barakar (Bardhaman), Gayespur – Mogra (via Kalyani), etc. The historical importance of Kalyani cannot be ignored. It is a place of considerable historical interest. It was Roosevelt Town during II World War. The Sati Maa Ashram and Darga of ManikPir are the important places of social and cultural interest. The town also has a rich cultural heritage having a number of Community Libraries, Community Centers Auditorium, Halls, Sports Stadium, Cinema Halls, and Picnic Spots. The Picnic Garden and Central Park are major tourist attractions. Kalyani enjoys good healthcare and medical facilities which are available from a host of general and special hospitals like Jawaharlal Nehru Memorial Hospital, Gandhi Memorial Hospital, NetajiSubhas Sanatorium Hospital, E.S.I. Hospital, Ayurveda Hospital and numerous private nursing homes. A cafeteria is available within the SKAIL campus. The Cafeteria serves light refreshments, snacks, tea and coffee, etc. to the students and members of faculty and staffS at SKAIL. SKAIL will provide healthcare services by a qualified doctor who will be available in the Halls of Residence once a week. All those residents who need medical assistance can consult the doctor. It is proposed to establish a medical and healthcare center within SKAIL permanent campus with resident doctors and nursing staff. Grab the opportunity of advancement through learning, research & dissemination of judiciary knowledge. Join us Today. Copyright © Snehangshu Kanta Acharya Institute of Law, 2019. All rights reserved. 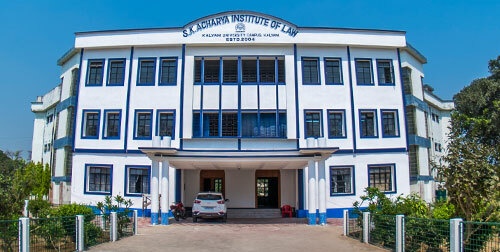 A premier institute for legal education. Please fill in the below fields with proper information and send enquiry, we will get back to you.